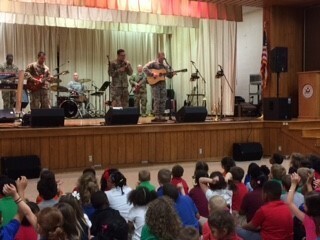 Army Band rocks Hugh Bish students! The Fort Sill Army Band stopped by Monday afternoon to treat students and staff to some great music and words of encouragement. How lucky and blessed we are to have these talented heroes in our community!